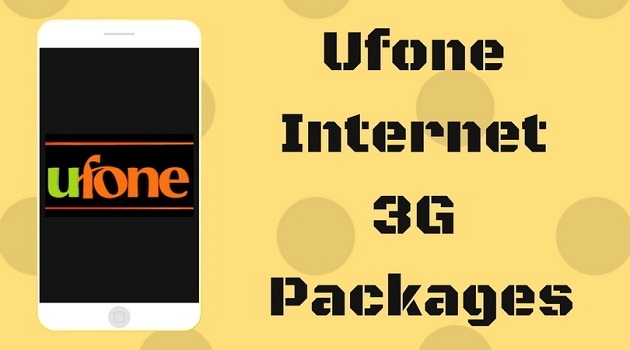 Ufone brings a wide range of internet packages to please the Ufone users who love using internet on their mobile phones. Below you can see the detail and select the right one for you. If you’re having troubles with Ufone internet settings, check out our guide to configure your device for Ufone Internet. First, I will discuss the internet buckets for the prepaid users. Ufone Power Hour	 Rs 7.17	 60MB	 Activate any time during 24 Hours (Valid for One hour when you activate the package). 60 SMS, 60 On-net minutes (Ufone to Ufone). Dial *99#	 Automatically expires after one hour. Ufone offers various kinds of daily internet bundles for the users. Here they are. Ufone brings some social data packages for its users who are addicts of using social networking sites. In these buckets, you can use only the social networking sites. If you do browsing, the standard charges apply. If you have subscribed to one bucket, you cannot subscribe to another bucket at the same time. To activate another bucket, unsubscribe the previous one and then move ahead. The users are allowed to subscribe to multiple buckets while using Weekly 3G Buckets. You can subscribe to any bucket by dialling *3#.